You will no doubt have noticed the brand new design. While Dina was away on holiday this month yours truly (Lee, the techie) thought it would be a great idea to surprise her with a redesign of Rate My Bistro. Of course I could only change it so much as we didn’t want to lose the old style completely. We hope you like the new website design and as always we appreciate any comments or feedback. 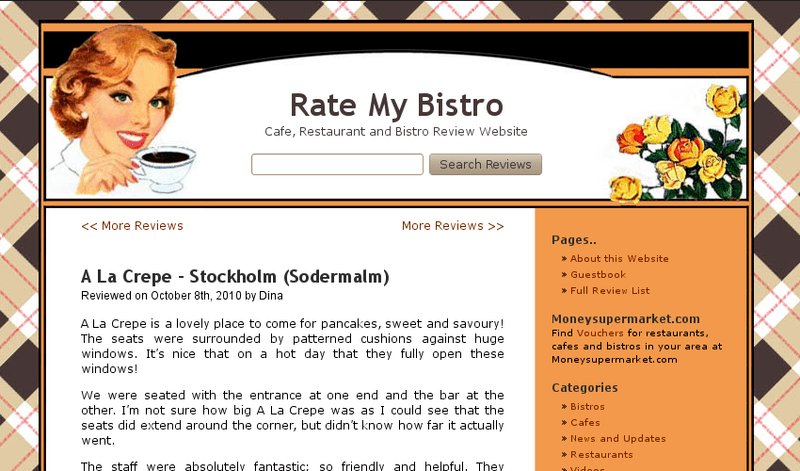 Thank you Lee for the surprise of the brand new design for Rate My Bistro! I think it’s fantastic and works really well! The site looks so much fresher and brighter! Hope that our readers also are liking it as much as myself!